About | Travels with an Australian, a Peruvian and Baby A. What do you get when an Australian-Croatian meets and marries a Peruvian? A lifetime of incredibly long plane journeys with our new little family! My name is Anna, and after 12 years of solo independant backpacking travels I met the man of my dreams, who just happened to come from the other side of the world! Together we have a beautiful little girl named Alessandra, who will surely have a lifetime of long boring plane journeys to learn how to speak Spanish! We have created this blog to record all of Ale’s journeys online, to post some of my old travel journals online, and to show our skeptics that travelling with a baby can be doable. Well, as I write this we haven’t travelled with her yet so hopefully I won’t be eating my words in the future! 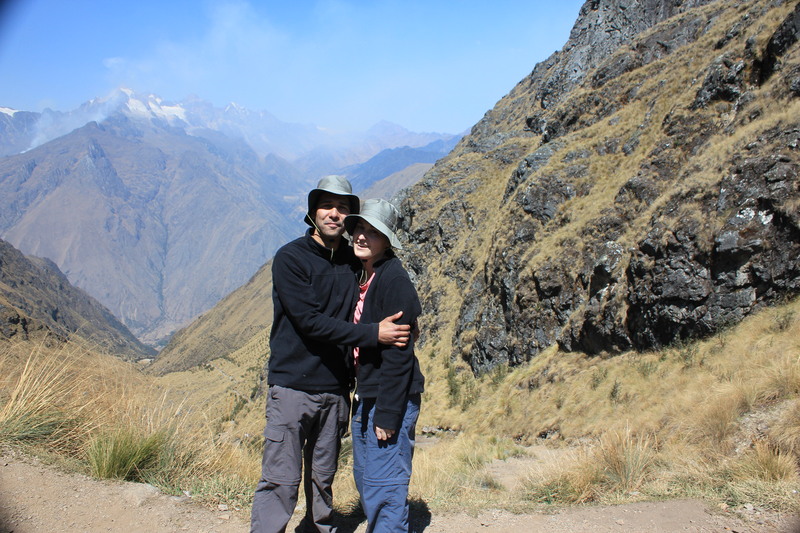 Hi Anna – thanks for stopping by our Clark Family Adventures – we’re headed to Peru soon, looking forward to seeing Machu Pichu and we’ll look out for Lomo Saltado which our chippie lover might even like! We’ll be in Australia a little further down the road. I like your blogs so far and look forward to hearing about your forthcoming adventures with baby daughter! Funnily enough I just discovered yesterday that Columbus’ first stop in 1492 was in the Dominican Republic in my Spanish lesson so enjoyed your blog there! Travelling with kids is very different but amazing to see and experience the world through their eyes. Thanks for liking my Africa Overland post. I’ve followed your blog and Im looking forward to keeping up with your future adventures. Hello Anna! Thanks for stopping by. Your blog and the stories and photographs that go along with it look interesting! Will be stopping by more often! Regards. What a wonderful family you have! Baby Ale doesn’t know just how lucky she really is to have a lifetime of adventures ahead of her. thanks for your kind words. i hope my daughter has a lifetime of travels ahead of her! looking forward to seeing more of your blog! Boring day on the road, good to find a new post of you! When your next trip to Peru? Ask Rafa to show you the north! We are going to peru when ale is 5, anothrr 2.5 years. Croatia first! Ahh, so exciting to “meet” you … I adore Peru (have been there four times), spent a Christmas holiday for 3 weeks in Australia and, just to get the Croatian part in too, I enjoyed that country last summer on a swing through the Balkans and Eastern Europe! You are lucky to have connections to all those wonderful places in the world. (And we traveled with three little ones … it can be crazy but also a lot of fun, and there was no way I was giving up my world wandering.) Happy travels! How wonderful it is to have such a global family! You’re little one will grow up with adventure always beckoning! Looking forward to reading more of your posts. Thanks for visiting our blog, you have a great looking family there! Good stuff. Enjoyed the Take Me Back to Bryce blog, YES! Hi Anna – I’ve been meaning to ask, since you mentioned you’d been a solo traveler for some time prior to meeting Mr. R., how you came to decisions to marry and start a family; was it something you were consciously seeking, or did it happen organically? If you feel like sharing I’d love to read about it. Thanks for defying the popular opinion that having adventure and having babies must be exclusive. Hello! I can write an essay on this topic! Haha. I am dumb at this WordPress thing so I can’t find your email address, so if you give me your email I will share my story. Or shoot me a quick hi email at ahn81@hotmail.com and I’ll write you back there! I blog also in Spanish.